My aim with this painting, was to capture the transient light and the feeling I experienced in the landscape, and I intentionally used large expressive brushstrokes, a limited palette and allowed the ochre ground to shine through in places. 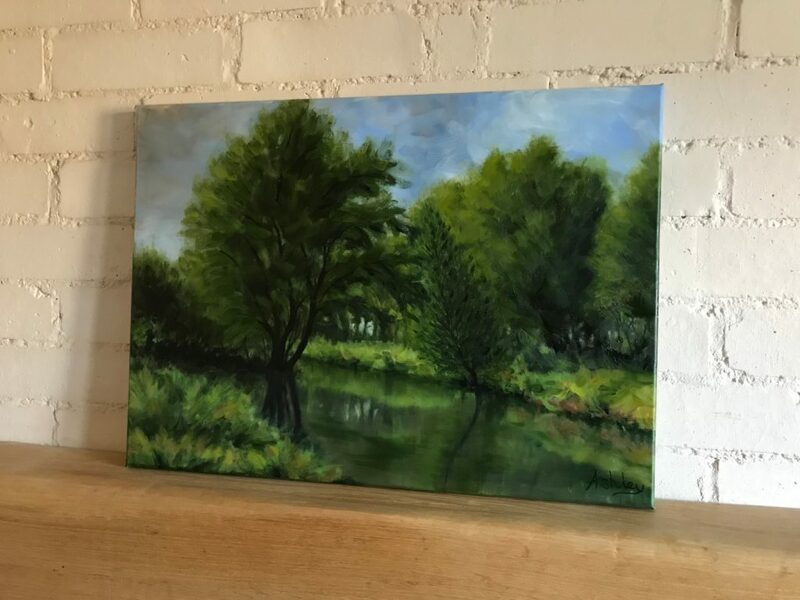 The painting is of a scene along the River Cam and Trumpington Meadows up river from Byron’s Pool (named after Lord Byron who used to swim at the weir pool). 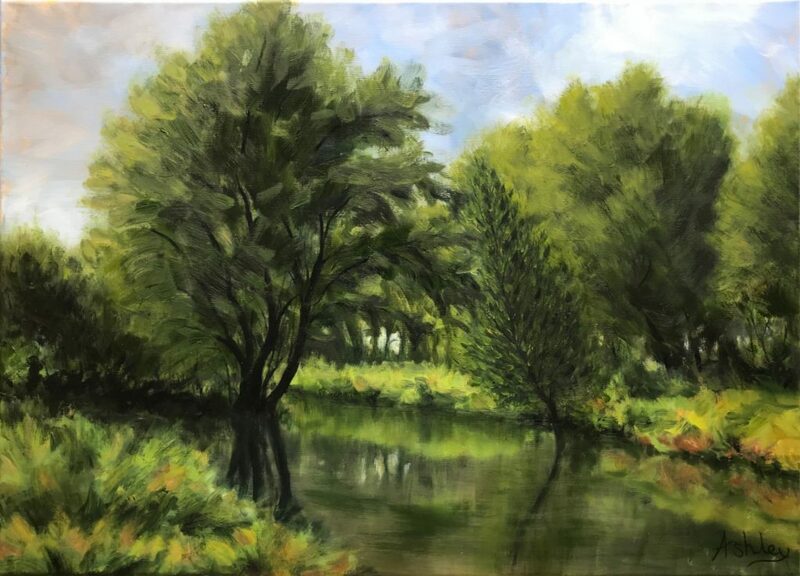 I have many happy memories of Byron’s Pool nature reserve, playing there as a child, then later taking my own children and our dog to explore the wood and river.